Duncan J. McCampbell, J.D, President, McCampbell Global, LLC. Duncan McCampbell is an American lawyer and an expert on the commercial, legal and political systems of the U.S. and several other countries. Tapped to lead global acquisition and start-up projects across Europe and Asia for Thomson Reuters from 1998-2007, he has lived and worked in such culturally, legally and commercially diverse places as London, Frankfurt, Beijing. His direct experience includes acquisitions and/or new business start-ups in the UK, Germany and China, as well as projects in Switzerland, France, Italy, Spain, Australia, Canada, Malaysia, Hong Kong and the Netherlands. Duncan is a prolific writer and frequent commentator on international business and legal issues. His academic pursuits include corruption prevention in collectivist cultures, China’s One Belt One Road initiative, and the evolving political and strategic situation in the South China Sea. He is co-Chair of the China-Asia Business Association. Duncan teaches international business and business law as an assistant professor at Metropolitan State University in Minneapolis, Minnesota, where he also directs the MBA Program. 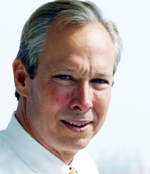 He previously served as associate professor and MBA Program Director at Bethel University. He has taught comparative law at Hamline University School of Law and business planning at the Saint Thomas University Law School. He also teaches law and business in China at South China University of Technology in Guangzhou and Beijing Union University. Sabiha Welijian has joined McCampbell Global as research specialist. In this position she coordinates multiple research and business development projects, with a geographic emphasis on China, and a subject matter emphasis on Asian multinational corporations, Chinese legal information and energy generation. 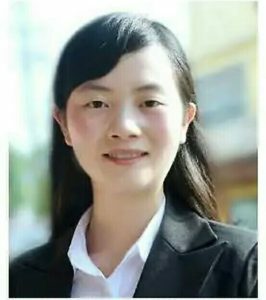 Holder of a Bachelor’s degree in International Trade and Economics from the prestigious China Foreign Affairs University in Beijing, she has an MBA and a Master’s in International Business from St. Mary’s University of Minnesota. 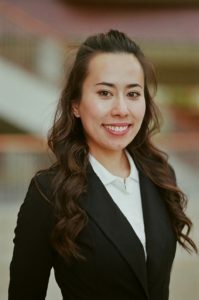 A native speaker of both Mandarin and Uyghur, Saibiha’s cross-cultural work experience and multilingual skills provide key insights for McCampbell Global clients and their research initiatives. 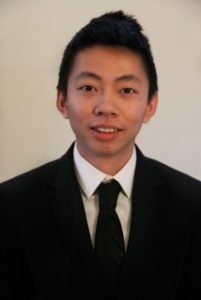 Daniel Feng has joined McCampbell Global as legal and business translation specialist. A native of Yueyang City, Hunan, PRC, Mr. Feng took his degree in journalism from Shandong University and recently completed his MBA with Global Concentration at Bethel University in St. Paul, Minnesota. He has represented McCampbell Global on Chinese sales literature translation projects for a major U.S. academic publisher, and conducted Chinese competitive intelligence projects for a number of current and prospective McCampbell Global clients. Mr. Feng will focus on client service in the legal information, senior care, agriculture and energy sectors in 2015. Lois Zhang, Business English Translation Consultant. Lois has been on the language staff of McCampbell Global since 2015, providing vital and timely translation of business documents for our clients doing business in China. Her work has included contracts, advertising copy and pr oduct instructions. She has also served lead translator on a new business text written by the president of McCampbell Global, Prof. Duncan McCampell entitled The Four Dimensions of Global Business.